The Village of Port Alice is located approximately 53 km (33 miles) south-west of Port Hardy and 54 km (34 miles) north-west of Port McNeill. To get to Port Alice you have to drive in on Hwy 30 (Rural Road) from the Port Alice junction point, which is located halfway between Port Hardy and Port McNeill on Hwy 19. Hwy 30 from the junction point is generally in good shape and paved the whole way to Port Alice. Port Alice is situated on a south-east slope facing picturesque Neroutsos Inlet. Neroutsos Inlet is part of a larger arm extending from Quatsino Sound and the west coast of northern Vancouver Island just south of Cape Scott Provincial Park. 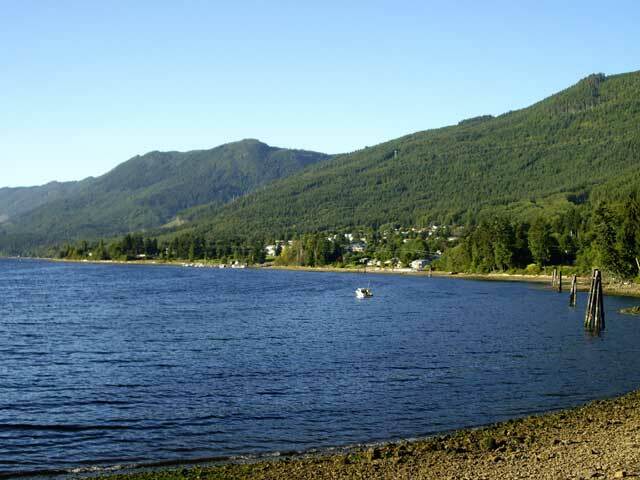 Port Alice's main economic history dates back to 1917 when a series of pulp mills were built utilizing the transportation link of the ocean, the large supply of wood fibre plus the abundance of fresh water found in the area. The pulp mill was the main employer and operated up until October 2004, then was closed by the owners at the time, LaPointe Partners, for economic reasons. 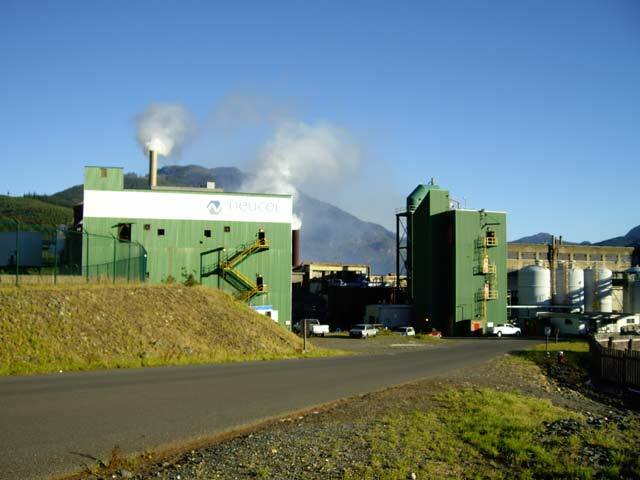 Since then Neucel Specialty Cellulose has agreed with the local union for a long-term solution for the mill to continue to be Port Alice's main employer. This has been just excellent news for the residents of Port Alice and, with the recent re-investment of capital into the pulp mill, Port Alice will continue to be a vibrant community. One thing you'll want to do when visiting Port Alice is to take a walk along the beautiful sea walk. The wheelchair-accessible walkway goes along the shoreline of Neroutsos Inlet out along to a scenic picnic area where you can find wilderness trails near a small point. Port Alice, because of its, approximation with the open Pacific at Quatsino Sound, makes for excellent fishing and eco-tourism including whale watching. Orca whales are being constantly seen when out on the water in Neroutsos Inlet. If you require guiding services there are a number in the village from which to choose. Another area that makes for some good exploring is on the Rumble Mountain Trail. Here you can find some hiking or mountain biking trails going through the forest on the side of Rumble Mountain just above Port Alice. One event in June you'll want to include when making plans is the Port Alice mountain bike race in June called Rumblefest. The race includes both a downhill circuit and a cross-country phase for both advanced and beginner riders along some grueling hills. Rumblefest later concludes on Marine Drive with a salmon barbeque at Rumble Beach followed by a dinner and dance. 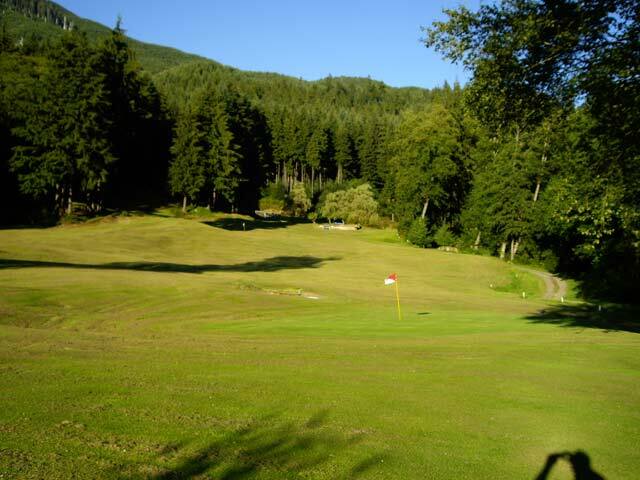 Port Alice is home to a very challenging 9-hole municipal golf course called Port Alice Golf & Country Club. The course features a couple of small creeks, very tight greens and some ponds intermixed through the trees. Telephone: (250) 284-3213. If you're going to Port Hardy, there is also the 7-Hills municipal golf course. Located where the Link River flows in Alice Lake is the Link River Regional Park. Here you can find 22 non-serviced rustic campsites, a swimming beach, a boat launch and a very nice day-use picnic ground that contains some covered barbeque pits. Please remember there are no stores around here, so pack in all your supplies including drinking water. 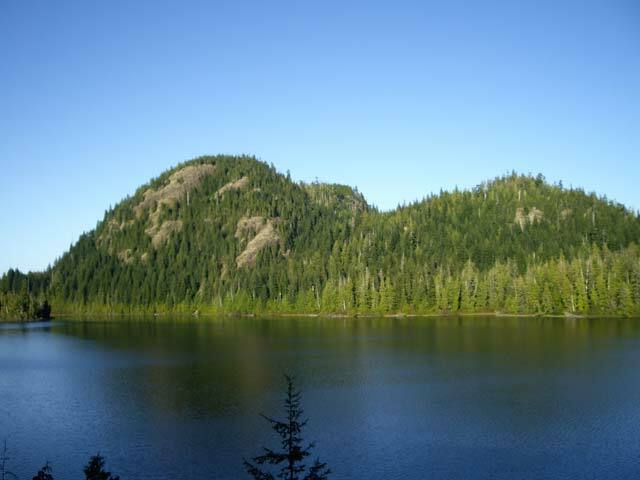 There is also another rustic picnic ground close to Alice Lake at nearby Victoria Lake. Victoria Lake has no services whatsoever but features great Char, Dolly Varden, Kokanee Salmon, Rainbow and Cutthroat Trout fishing. Usually the best time to fish Victoria Lake is in the spring or fall using trolling methods. For cavers Port Alice has three options in the nearby area to explore, called Devil's Bath, Eternal Fountain and Vanishing River. The feature of these caves, especially Devil's Bath, is the existence of some very large sinkholes in the limestone (cenotes). Please check at the local visitor info centre for information, directions and conditions of the caves. 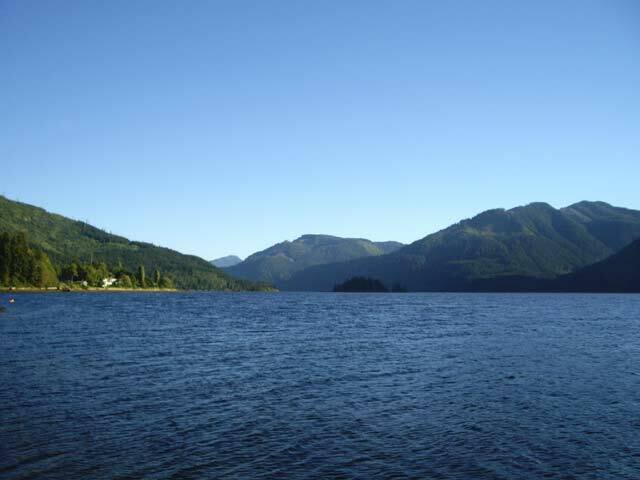 Port Alice is also close to Cape Scott Provincial Park just north of the small forestry community of Holberg. To get here you have to drive towards Port Hardy then take the forest service road towards Holberg. Other areas around Cape Scott Provincial Park worth exploring are out towards San Josef and Winter Harbour. The forest and bush around Port Alice is very beautiful with lots of trails and roads found throughout the area. One thing you'll want to be on guard for is the possible encounter with cougars, bears or the possible wolf. Be prepared and always watch your children and pets when exploring the immediate area. If you happen to be travelling on some of the backroads around Port Alice please respect the fact that you'll have to use logging roads. Large vehicles and heavy equipment are constantly encountered giving off dust storms in their trail. Always be cautious, have your lights on and make sure you pull over and give them all the room you can. Fuel can be found at Port Alice Petroleum Products located on Industrial Way. 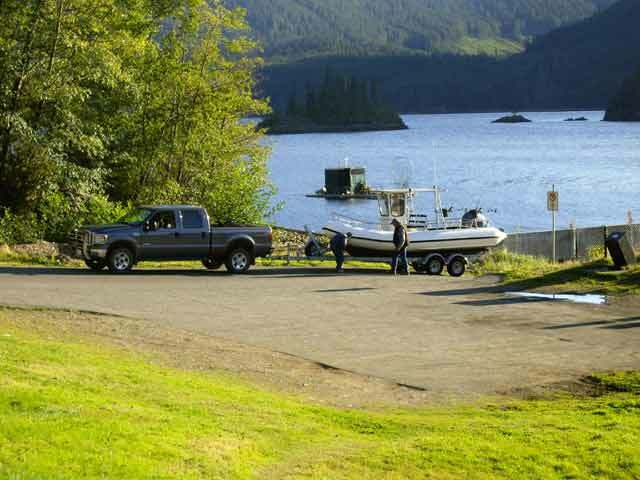 For other accommodation in the Port Alice area, there is the full-service Port Alice RV Park & Campground sometimes referred to locally as Ozzieland. Telephone: (250) 284-3422. For hotels try the Quatsino Chalet Hotel. Telephone: (250) 284-3338. There is also the Inlet Haven Bed & Breakfast.